When Governor Walker signed the State of Wisconsin’s 2015 -2017 State Budget on July 12th, cheers were heard throughout Kewaunee County. 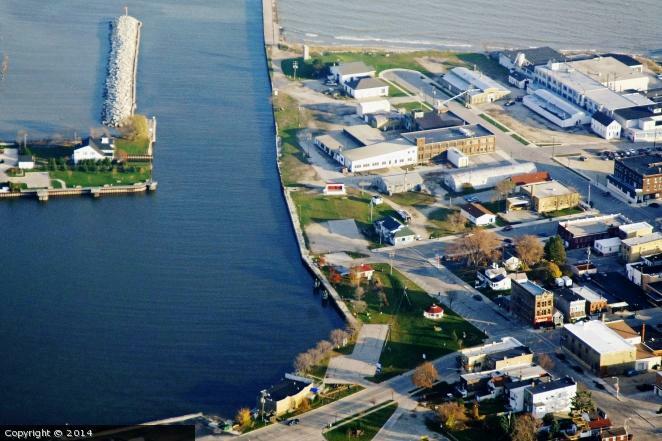 Governor Walker’s budget included $4.2 M to restore and revitalize Kewaunee’s harbor. This critical award signifies the prospect for growth and opportunity for change in the City of Kewaunee and the entire county. The success of the “Kewaunee Harbor Project” award cannot be attributed to one individual but a series of strategic partnerships led by the City of Kewaunee and the Kewaunee County Economic Development Corporation (KCEDC). Approximately one-year ago, the city and KCEDC launched an initiative focused on kick starting the local economy after the loss of the county’s largest employer. With the support and leadership of Representative Joel Kitchens and Senator Frank Lasee, Kewaunee County’s unique economic challenges were brought to light in Madison. Local and state elected officials recognized that the economic revitalization of Kewaunee’s harbor was a key component to aligning the county for economic success! The Kewaunee County Economic Development Corporation Board of Directors is pleased to have partnered with the City of Kewaunee on such a high-impact economic development project. KCEDC looks forward to continued involvement in the development of the adjacent 3.5 acre waterfront site.